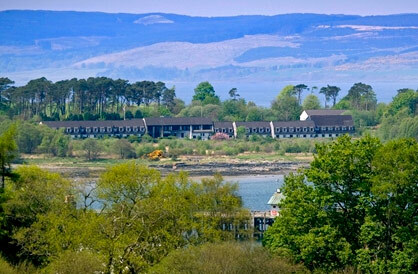 The Isle of Mull Hotel sits on the crescent of Craignure Bay and has gardens that stretch to the waters edge. Spectacular views across the mainland. Isle of Mull Hotel & Spa is home to Mull and Iona Community Swimming Pool. Facilities include a 17-metre swimming pool, children's splash pool, outdoor hot tub, sauna and offers spa treatments including the specialist Rasul Mud Room.